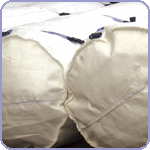 We hire the Fallpac soft landing bag system. The current “working at heights regulations” require that a fall from height is restricted to a maximum fall of 2.0m. 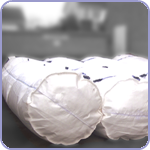 Soft landing bags are a highly effective and widely used means of complying with the HSE requirements by reducing fall heights to under 2m in standard storey height construction. 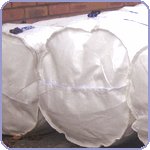 These bags can be assembled in minutes without the need for specialist training with each unit weighting just 6kg. Unit dimensions are 2500mm long and 644mm diameter. The bags can be linked to one another with the interlocking fasteners that are attached to each unit. This enables a typical house build to be safeguarded within 30 minutes, minimising delays to the project programme.